All books have a middle. The beginning sets up the characters, the situation, and above all, the conflict. The ending, and the chapters leading up to it, is where the conflict gets resolved. The ending is what the reader is waiting for, it is the climax, where heroes (usually) triumph and baddies (often, but not always) get their comeuppance. But a bad middle can lead the reader to give up on a book, despite a great start and possibly a terrific ending. Why is that? The middle is where the author deepens and enriches the story, introduces new characters, ramps up inner conflict, has heroes second-guess themselves, has baddies or events turn up the heat, and releases revelations that change the readers’ perceptions of a character or broaden the plot. The mid-section of a book often contains flashbacks, some stories-within-stories that show characters’ ‘mettle’, some confessions, some secrets and some lies. These story devices are all intended to strengthen a reader’s attachment to a book and its characters, and to heighten the drama and its conclusion. However, middle sections often fail the reader, sometimes after a fantastic start, and a probable good ending the reader may never get to read. The book seems to lose focus, tension, or even change its tone. The middle ‘sags’, and the reader starts wondering if they should bother to continue. So what is the middle section not for? In summary, IT IS NOT AN INTERLUDE. Characters can relax, and can ask each other or themselves questions the reader might have long-harboured. But this must not be just idle chatter. There should still be conflict. It is a good place to show some of the cracks in the protagonist’s façade, weaknesses in the hero, to make things less black-and-white. It is important to have some self-doubt, otherwise the characters are just actors role-playing for the author. If the protagonist must do something really difficult, particularly involving self-sacrifice, the author should step back, and consider – would they really do this? Think of Frodo. Gandalf even, self-questioning themselves in Lord of the Rings. The hero can proverbially ‘wander around in the desert’ for a while – but not for too long! 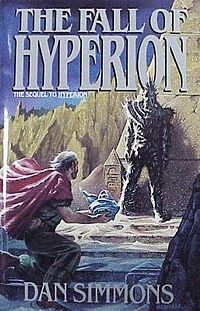 Two books I loved but they both did a LOT of meandering which almost made me put them down and not reach the fantastic endings, were Dan Simmons 'Fall of Hyperion' and Greg Bear's 'Anvil of Stars'. Here’s one of my characters from Eden’s Revenge, Gabriel, hesitating, deliberating, before embarking on something he has been planning to do all his life. Why does he hesitate? Because he meets someone (Jen) who knew his father, whom Gabriel never met. Jen was the sister of Gabriel’s father, and this is the first time they get a brief chance to talk. It had been tough in his childhood: not even a photo of his father. Difficult when your only reference to your father is your own reflection. Other kids had lost their parents during the Q’Roth sacking of Earth, but they had memories and usually holos too, anchors to cling to. Gabriel had nothing. He listened intently. There was a pause. “Brave and beautiful. People were wary of him, though; they sensed the inherent danger, even in his teens. One of his teachers described him as an unexploded mine.” She laughed. Gabriel smiled, but it stirred lifelong suppressed emotions deep inside him. “Go on,” he said, almost a whisper. Gabriel felt the need to sit, but couldn’t move. He tried to picture his father as a boy, as a young man back in Ireland before the nuclear devastation had blackened that once emerald Isle. He’d watched the history holos over and over, secretly searching the running, confused, screaming crowds for a face like his own. He’d distanced himself from everyone, but if his father had lived… Gabriel couldn’t see where that path would have led him, but he would have liked to have had the choice. Gabriel had heard it said before, but this time, hearing it from family, from someone that actually knew his father, made it resonate. It firmed his purpose. But he guessed there was little time, and that this wasn’t purely a social call. During such scenes where we deepen the character, and the action inevitably slows down, it is useful for other parts of the story to be moving faster. This is easiest in a multi-protagonist book, where chapters or sections can take turns to speed up or slow down, alternatively zooming into the action or zooming inside the character, making them more realistic and ‘dimensional’. New characters can be introduced in the middle section, but they must advance the plot. Background characters can also come to the foreground, and preferably stay there, otherwise why bother? Angel stood up. “Well, it’s been great, and not just the chicken. Now we really have to go, and so do you by the way – there’s another Q’Roth hunter-destroyer inbound, one hour out. They’ve been tracking us down for two months, and they’re hunting you too, now. So we need you to do us a favour.” She glanced at Micah and the silver ball she’d just given him. “And you’ll be..?” Zack asked. “Then what happens?” Micah asked, not sure he wanted to know. Angel stood up. She looked as if she was going to offer her hand to Micah, but instead nodded to all of them, and without another word headed for the exit, to the sounds of chairs raking across the floor as the others got up. Starkel held up his arm, blocking her exit. “Just one more thing,” he said, producing a pistol from somewhere inside his tunic. Micah focused on it, letting the translation globe do its job. Starkel’s pistol was a molecular disruptor. It had only one setting. Everyone else stood perfectly still. Good, he thought, nobody move. “The one over there called Hannah has Q’Roth DNA.” Starkel said, pistol aimed at Hannah’s head. “You’ll be dead before you reach them,” he added to Zack and Ramires, who were both edging towards their weapons. Micah and Sandy exchanged glances. He looked pleadingly to Angel, but she silenced him with a raised hand, her face set in stone. Her stare towards Hannah tightened with a space-cold hatred. As well as using the middle to render the characters more realistic, less glossy and more ‘grainy’, the same can be done for the plot and the context. Small, petty politics can interfere, because the stakes are not yet realised, and because people are people and this is what they are often like. Alliances can be made, and the foreground set up for later rescues or (better – more interesting) betrayals. Travel to the place where the end awaits is a useful vehicle (literally) to both deepen the setting and the characters – people usually end up talking to each other on trips, as otherwise they (and the reader) get bored. But why have a middle at all? I recently watched Skyfall, the latest James Bond film, and it didn’t do it for me. Nor did Taken2 or the recent Jason Bourne movie. Why? Well, these are action movies without a discernible middle. They can be fun to watch, but honestly, do you end up caring for these characters? To me they are made of cardboard. Bond promises he will protect a woman, then sleeps with her, and she is promptly killed, and there is no time to even feel guilt because the action drags him elsewhere. Contrast these films with the more recent Batman movie, where there is a clear middle where we get to know Batman and his doubts, as well as other characters with their own reversals of fortune by the end. Batman may be a flawed movie for other reasons, but I cared a lot more for the characters, and will go to watch the next one. A good middle in a book marks the difference between a one-night stand and a relationship. 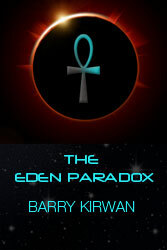 The Eden Paradox is available in paperback and ebook from Amazon, Barnes & Noble, Ampichellis and Waterstones. Eden’s Trial is available in paperback and ebook from Amazon. 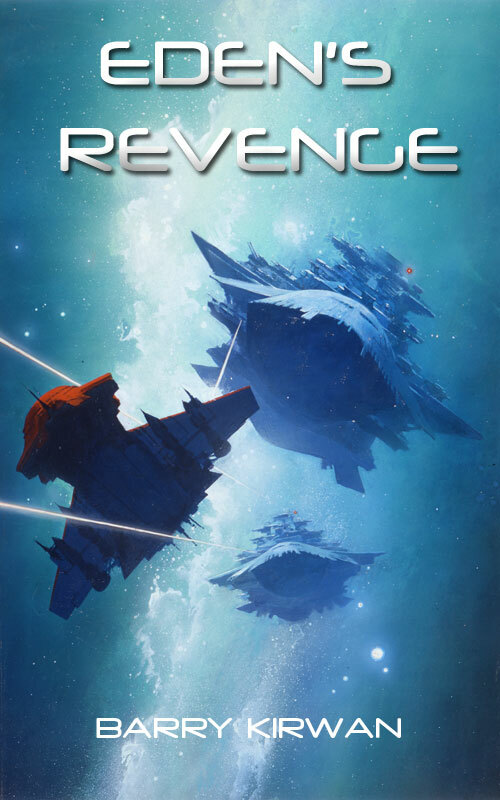 Eden’s Revenge is being released shortly. Other short stories (scifi and fiction) are available for free on the main website.